Want to fool your friends, surprise your family? 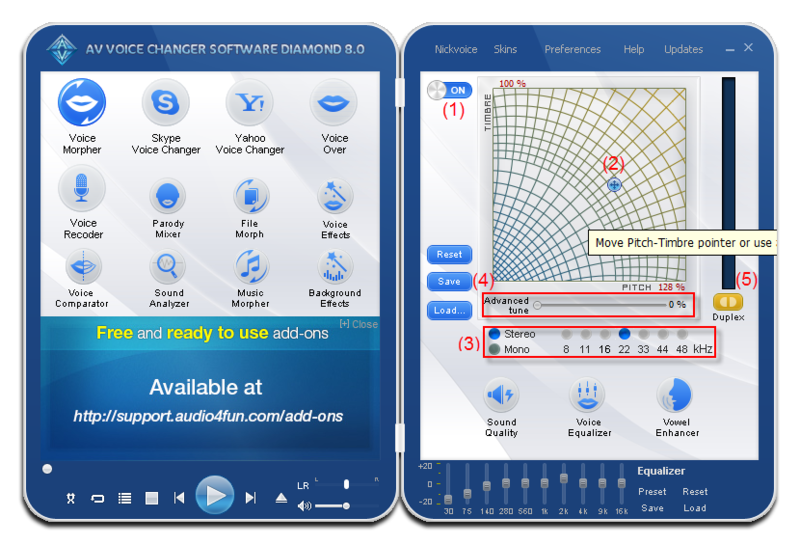 Take a new account and use Voice Changer Software Diamond 8.0 to make it. Just take a look at this tutorial to learn how to change your voice while chatting in any VoIP clients and Instant Messenger Program. 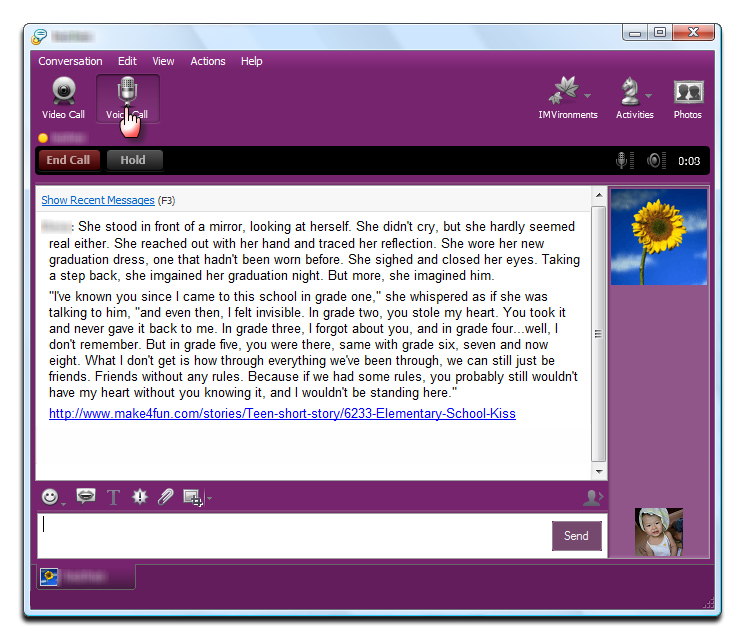 This time, we will guide you how to setup VCSD8 with Yahoo Messenger - the most used chat program globally. 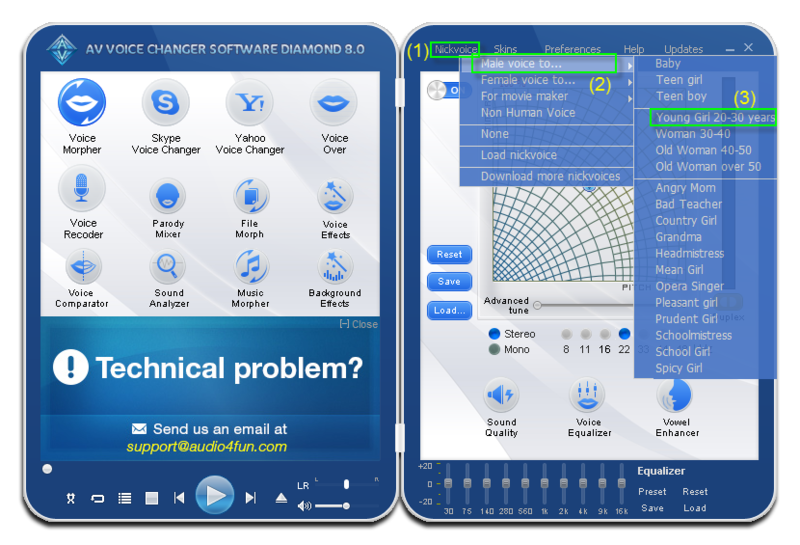 - Start the program by clicking on the Voice Changer 8.0 Diamond (VCSD) icon on your desktop or go to Start => Programs => Voice Changer Software => Voice Changer 8.0 Diamond. - Click on the Nickvoices (1) button to open the Nickvoices (2) submenu. Select either For Male Input Voice or For Female Input Voice. - Make sure that the Timbre and Pitch (1) graph has been switched on for use. - Because most instant messenger programs support Mono 8000Hz (3) only, we will need to set the output voice in VCSD to Mono mode for better quality. - Move the cursor (2) on the graph to change Pitch and Timbre of the voice until you get the desired one. - Reduce the Advanced tune (4) by setting it down to 0 (zero) for a better voice. Now, just turn the Duplex (5) on to pre-listen to your morphed voice and make any change if necessary. - Open the VoIP program or any Voice Instant Messenger programs you want to use and dial the number. - As long as AV Voice Changer Software Diamond is running and the Morphed feature is on, your voice will be morphed in real time. - The current version of AV Voice Changer Software Diamond supports most voice chat and calling services of common instant messenger programs.